We’ve seen rumblings about who Whit went after early on… and now we’re seeing rumblings of who he may be going after. The questions are these; what would you have done different than what Whit has done and what should he do now? This OC search and the difficulties of finding a flashy name should be telling us something. Those that want to get rid of Whit should take note. 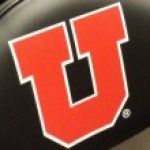 Regardless of how you slice it or what we do on the field, Utah (the State) is a harder sell than most of us are willing to admit. This week we have seen first hand why we go into a slump every year….. injuries. Say what you will, but we still don’t have the depth we need to play in the PAC week in and week out. Every class we get better, but we’re not there yet. As I listen to Mitchell on the post game, can I just say…. Due to some family issues, I was unable to attend the game Saturday. But two things stood out that absolutely drives me nuts. We are not unique with this as I see this all the time. In essence, it’s coaches out coaching themselves. First off, replacing Scalley would be a very shortsighted solution. When you look at last year’s numbers, he did well. Not great, but well. We are spoiled in that regard and we are used to great. If you are never happy with what the team and coaches do, then go somewhere else! For years Whit’s been criticized for offensive woes (and certainly he made a few blounders), but everytime he tried to fix it, the same folks complained about the number of OC’s we went through. It’s tough right now with Anae part timing it, Fitz and Huntley out, we are a very average team. Hopefully others will seize the op. It boggles my mind how much disrespect coach Whit gets. IIRC, he is the winningest active coach in the PAC right now. Has us in the top 25 every year (but 2?). Yet everything he does get’s scrutinized and questioned. There is always room for improvement, but that shouldn’t detract from the respect the man truly deserves, yet it does. Let me first say that I am a Whit supporter. You don’t win 8, 9 or 10 games a year in the PAC 12 without knowing what you’re doing. Thank you. I’ve been trying to be civil whenever I’ve seen folks accuse Whit of Micro-managing the O, but it was getting way too tiring. It’s sad that so many believe anything that is on the internet. Rumors become fact way too quickly.